Editing the PowerShell registry is a knack. In the beginning, accessing values in the registry using PowerShell is deceptively difficult, but once you master the syntax of HKLM:\ the technique it becomes reassuringly easy. 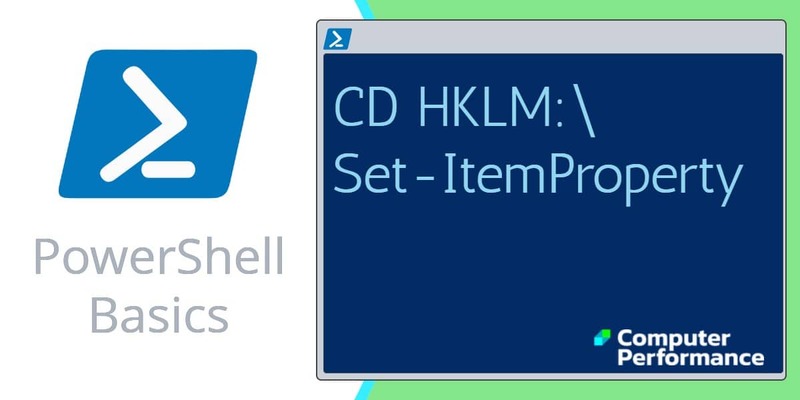 A reminder that HKLM is an abbreviation of HKEY_LOCAL_MACHINE, which is well-known to PowerShell. There is also the users section of the registry at HKCU. Note 1: You need a carriage return after the first line. Note 3: The backslash makes sure that you connect to the root of HKLM. Note 4: -ErrorAction SilentlyContinue suppresses the error message PermissionDenied to the SECURITY hive. It can be abbreviated to EA 4. Note 5: In other scripts, if you see ‘SKC’ it means SubKey count, and VC means Value count. Get-ChildItem is like DOS’s dir, -recurse tells PowerShell to drill down starting at HKLM. The crucial command is -Include followed by the value to search for, which in this case is Winlogon. Note 6: The backtick means the command continues on the next line. This script has the same heart as the above example, but it features Write-Progress, and also Start-Job followed by Receive-Job. The benefit of the progress bar is to indicate to the user that the script is working in the background. Superficially, the simple commands shown above work as expected. Problems start when you try to view values in the registry, and they get worse if you try and change Reg_SZ or DWORD setting. This is where analogies with the file-system break down, and we need to learn new techniques. Scenario: you want to check or enumerate the name of the user who is logged on. Note 7: To omit the dot (period) after -Path is fatal. -Path. is correct. We have already had a lucky break, because we’ve been tipped off there is PowerShell cmdlet called Get-ItemProperty. Now we can exploit this knowledge by checking for similar nouns to ItemProperty. Eureka! Let us investigate Set-ItemProperty and see if it has any parameters to change settings in the registry. Note 10: Do you see a parameter called -Value? Now we have the skill to employ PowerShell to change values in a named registry key. I have chosen to adjust the CachedLogonsCount. Note 12: The last line is optional. The union between PowerShell and the Registry is a marriage made in heaven. If you are a minor expert on Regedit then PowerShell scripting is a wonderful alternative way of making changes. From a learning point of view, go slowly at first. Tune-In to the PowerShell method for navigating the registry keys, and go slowly through the syntax for enumerating the values. Once you learn about Set-ItemProperty then you can script changes to your favorite registry hacks.